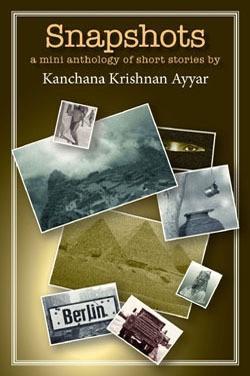 Snapshots is a mini-anthology of four short stories inspired by the author’s travels in Germany, Peru, India and Egypt. At the heart of each story is a secret that transcends time and history. Saving Günter tells the story of a German family torn apart by one son’s allegiance to the Hitler Youth, leaving a haunting legacy in the final days of WWII. The Runner is set in the heart of the Andes, where a young Chasqui runner comes to realize, the worth of his ancestral past and its inextricably weave into his present circumstances. A daughter in India struggles to care for her ailing mother in the story, One Glass of Water. A mystical visit bends the path of her destiny and confirms her faith in the unknown. In The Habiru a seasoned Egyptologist working on an ancient tomb begins to have disturbing visions that intertwine in a giant puzzle leading to a bewildering culmination.